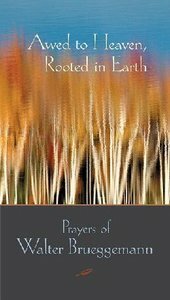 A collection of startlingly fresh and meaningful prayers, from Walter Brueggemann, a leading Christian thinker and scholar. - Publisher Walter Brueggemann is Professor of Old Testament in the William Marcellus McPheeters Chair at Columbia Theological Seminary, Decatur, Georgia. - Publisher This thoughtful collection of prayers emerged from Brueggemann's thirty-five years of teaching in seminaries. Full of reflection, faith, and dialogue, they reveal another side of this gifted author from what his many readers are accustomed to. These deeply felt and sparklingly articulated prayers reflect a wide range of life experiences. As readers, we are taken from the depths of pain and loss to the heights of joy and praise. The author takes on life in its fullest as he utters his praise and lament, petition and thanksgiving. Brueggemann's prayers lead us to deeper commitment, deeper faith, and deeper reflection. The volume also includes an index of biblical allusions that will be useful for preachers as well as the general reader looking for the biblical roots of these fears, hopes, struggles, and aspirations. About "Awed to Heaven, Rooted in Earth"
Walter Brueggemann is Professor of Old Testament in the William Marcellus McPheeters Chair at Columbia Theological Seminary, Decatur, Georgia. This thoughtful collection of prayers emerged from Brueggemann's thirty-five years of teaching in seminaries. Full of reflection, faith, and dialogue, they reveal another side of this gifted author from what his many readers are accustomed to. These deeply felt and sparklingly articulated prayers reflect a wide range of life experiences. As readers, we are taken from the depths of pain and loss to the heights of joy and praise. The author takes on life in its fullest as he utters his praise and lament, petition and thanksgiving. Brueggemann's prayers lead us to deeper commitment, deeper faith, and deeper reflection. The volume also includes an index of biblical allusions that will be useful for preachers as well as the general reader looking for the biblical roots of these fears, hopes, struggles, and aspirations.